These days, there are tons of ways to get rid of scars. You can have them surgically remove or treated by your trusted dermatologists. The problem, however, is that you may need to spend a lot if you choose to go that route. If you are on a budget but still want to get the best results, then using a scar gel is one of your best solutions. It’s a cheap and safe shot to getting rid of your scars for good. Whether you are dealing with scars from accidents, surgeries or even acne, here are the best scar gels we can recommend. Mederma Advanced Scar Gel easily made it to the top of our list because of its potency. While most scar gels are recommended to be applied twice a day, you only need to use this product once daily to get the best results. A large number of pharmacists and dermatologists trust it in reducing the appearance of both old and new scars. 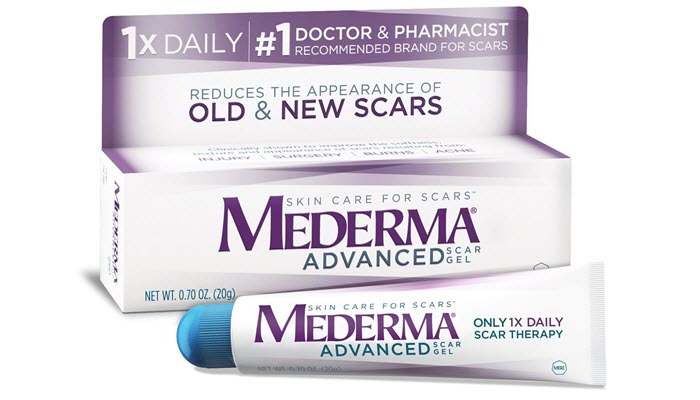 Mederma Advanced Scar Gel is specially formulated to address the three most common concerns with scarring: appearance, color, and texture. It relies on the botanical extract Cepalin to get the job done. 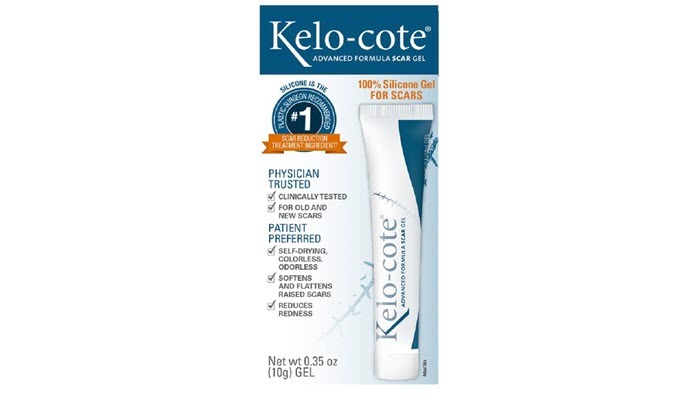 Second on our list is Kel-Cole Advanced Formula Scar Gel. It contains 100% silicone to help improve the appearance, flatten and reduce the redness of scars. It’s the best one you can get for scars that have abnormal structures, like keloid and hypertrophic scars more commonly seen from surgical procedures and trauma. Although it is effective, bear in mind that you can’t use it on scars that are still red or those that haven’t completely recovered yet. The gel is quick drying which is perfect if you don’t like waiting for products to set. Once it has dried, the product tends to leave a waterproof sheet-like substance on the skin but it isn’t that noticeable or bothersome. 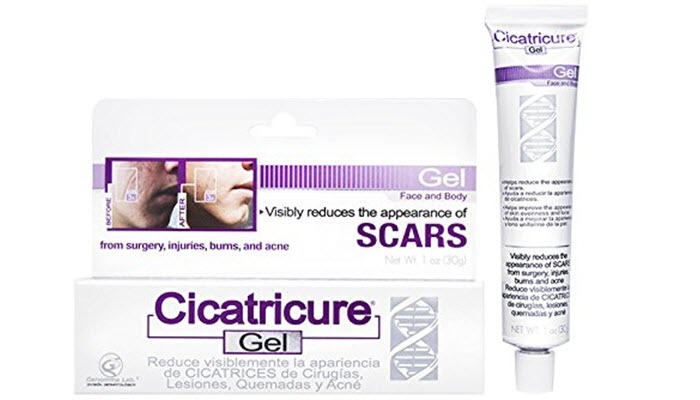 Another product we strongly recommend is Cicatricure Scar Gel. This one doesn’t just improve the appearance of scars; it also works to moisturize, tone and improve the appearance of your skin. One of its main ingredients is oyster shell extract. It’s rich in minerals which can trigger the enzymes responsible for initiating collagen production. It also contains chamomile extract, aloe extract, and bergamot oil. With constant use, this gel can dramatically decrease the thickness and coloration of scars, particularly old ones. So, if you have long time scars from burns and acne, this product deserves to be in your vanity. ScarAway Silicone Gel Scar Treatment is the cheapest one you can get from this list. However, despite being affordable, you shouldn’t underestimate what it can do to your stubborn scars. The gel has an odorless and non-greasy formulation that makes it safe even for sensitive skin. Containing 100% silicone and with the right application, which is to massage, the product can effectively deal with old and new scars. In addition to eliminating scars, the gel also works great for prevention. You can use it as soon as your wound has closed or sutures have been removed to ensure that you won’t have to deal with the nasty scarring that can happen. With so many people looking for ways to get rid of their stubborn scars, it isn’t surprising to find a lot of brands joining the bandwagon. Unfortunately, as your option increases, the more confusing it gets. To help you pick out the best scar gel, here’s a quick guide on the things you need to consider before making a purchase. 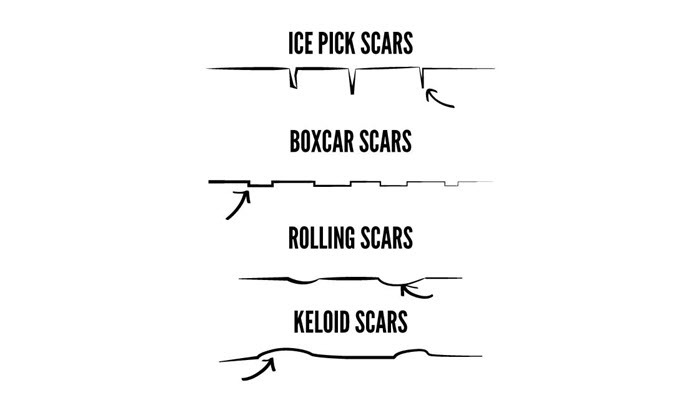 Know what type your scar is. Knowing what type of scar you are dealing with will help you find the right solution for it. Generally speaking, if your scar is due to a mild injury, using an over-the-counter solution can solve the issue, especially those that contain silicone. 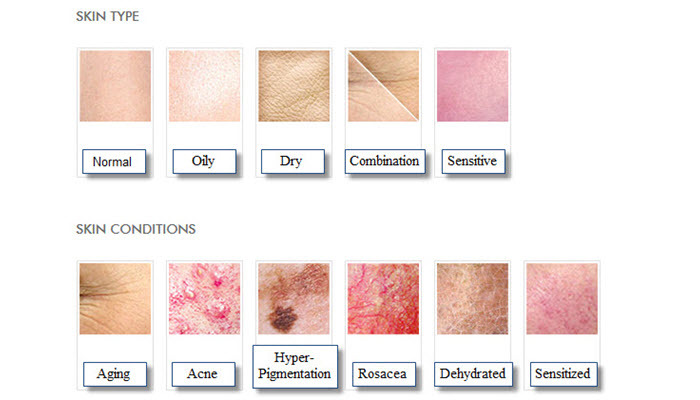 Determine any skin condition you may have. If you have sensitive skin or if you are dealing with rosacea, dermatitis or eczema, using a strong product can actually trigger more problems. Make sure to assess your skin first before buying a product and know what ingredients can potentially cause issues for you. As a rule of thumb, if a product comes with more ingredients that are hard to pronounce, you’re probably better off not using it. Ideally, you should look for a scar gel product with as many natural ingredients as possible. You should also look for gels that contain silicone dioxide. Experts consider it as one of the best ingredients you can use on scars. A scar gel should be easy to apply and blend on the skin. Massaging is the best way to apply scar gels since it facilitates better absorption. Because of this, you need to find one that is easy to glide on the skin. This is an essential factor to consider, particularly if you are dealing with large areas. While you can find tons of information online, it’s still better if you can talk to your dermatologist before using a scar gel treatment. 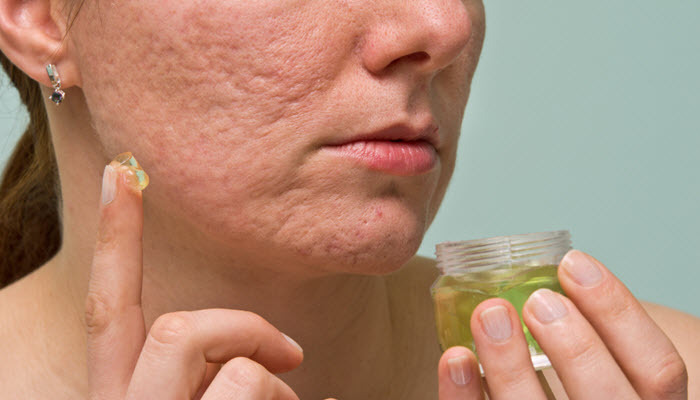 This is particularly important if you have sensitive skin or if you have other skin issues. A dermatologist can’t only guide you in selecting the right product, but he can also give additional tips which you can use to speed up the healing process. He can also give you a personalized advice and what you should and shouldn’t do to eliminate your scars.